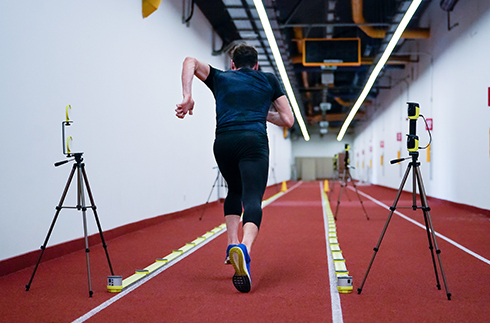 ​Both mobile and fixed photocells are offered for various types of sprint tests depending on the needs of the sports. The mobile system can be used on the track, sports hall or any other sports field. The fixed single sided photocell system in the indoor running track enables detection of split time for every 10 meters of 120 meters. 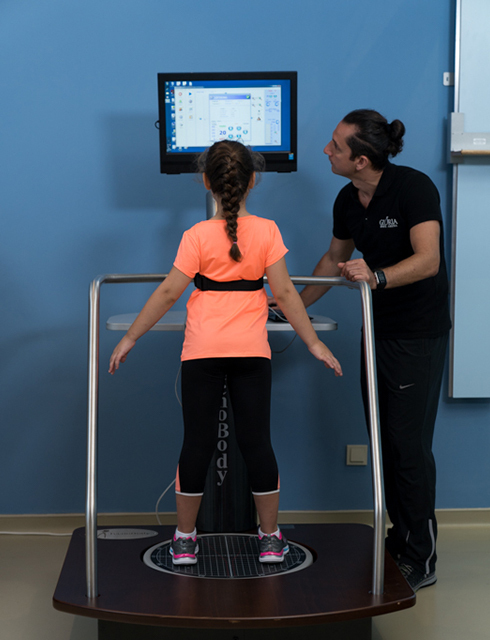 ​The SpeedCourt is a multifunctional training and measurement system for speed and agility, coordination, visual and cognitive perception and end stage rehabilitation. 12-sensor embedded sports floor is connected and steered by highly sophisticated software. Variations of fundamental, motion, explosiveness and reactive speed, acceleration and agility, power, and injury prevention can be created by the coach and be visualized on a large screen for the athlete. 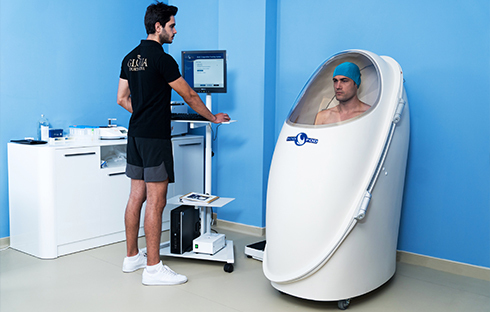 Speecourt test protocol is also used as the return-to-sport criteria. ​A 30-meter optical measurement system consisting of a transmitting and receiving bars detects any interruptions in communication between the bars and calculates their duration. This makes it possible to reveal all-important parameters (flight and contact times, acceleration, deceleration, step and stride length and frequency, and overall running economy) regarding running/sprint performance and some other specific athletic movements. 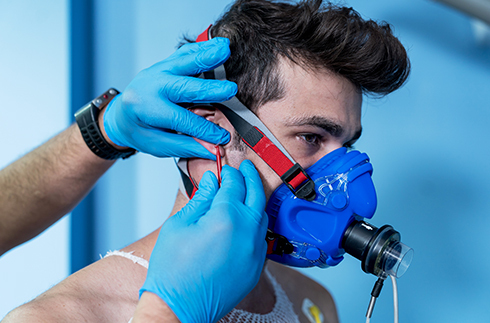 ​Test (VO2 max – Lactate Tests): With special protocols on treadmill or cycle ergometers, gas exchange is measured with mask, blood samples are taken and heart is monitored with electrodes simultaneously. The maximum oxygen uptake (VO2max), “gross criterion” of the motoric endurance can be used for evaluating the stamina of a triathlete. Analysis of the test provides scientific information for appropriate training programs by shedding light to the metabolic events occurred during exercise. Using that information, you can adjust your training intensity to reach maximum performance levels. ​It determines the individual anaerobic threshold level (maximum effort levels under lactate-steady-state conditions) and the aerobic threshold level by measuring during and after-effort lactate values. The threshold levels allow determining the exact intensities of target-oriented endurance trainings. UNDERWATER VIDEO ANALYSIS is a complete solution for analyzing the biomechanics of swimming movements and performance relevant parameters divided in specific workflows: Start Analysis - Turn Analysis - Timing Analysis - Competition Analysis - Qualitative Motion & Technique Analysis. HIGH SPEED VIDEO ANALYSIS involves the evaluation of specific sports related movements. Using multiple synchronized capture perspectives and useful analysis tools, coaches and athletes alike are able to determine critical weaknesses in form and are thus able to enable the immediate correction of said weaknesses. ​Light signals are used as targets for the user to deactivate, and can be adapted and configured for all sports and training regimes. This training system is designed to capture human performance, targeting reaction time, speed, agility, coordination – all measured for immediate performance feedback. 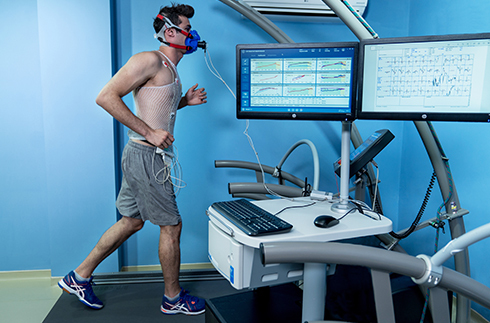 ​With special protocols on treadmill, heart is monitored with electrodes continuously. Major cardiac problems including coronary disease can be revealed by this test. 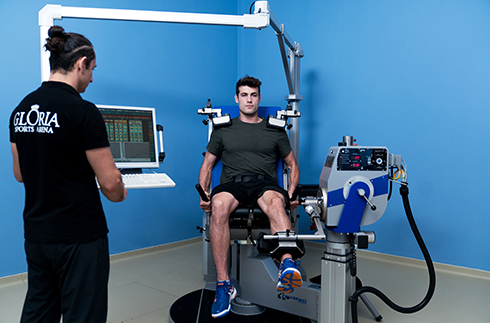 ​Isokinetic test and training system allows the exact evaluation of muscular power during static isometric contractions and during concentric and/or eccentric muscle activity with constant angular speed. Single joint measurement reveals the momentum forces of the synergic and antagonistic muscles. Multiple joint measurements provide overall evaluation of kinetic chains. Isokinetic training helps athletes to gain strength faster than regular concentric weight training using eccentric contraction. A pool with full running belt bottom whose depth, treadmill speed and resistance can be adjusted. The pool allows with reduced gravitational effects on the joints of the lower extremity to realize various running loads. 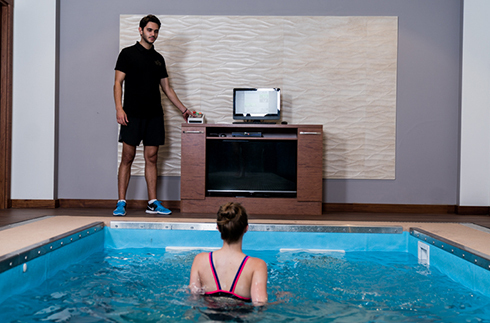 Permanently installed underwater cameras provide regular Bio-Feedback information/control to the athlete about his joint stress during the workout. 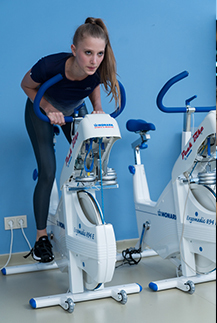 Laterally installed counterflow jets allow different workout intensities during aqua jogging as well as auto-massages at the pool edges. By virtue of these features, it can be used for many purposes from recovery training with joy to rehabilitation of serious movement restrictions, an efficient cardio-training, losing weight and fat burning sessions. Average session duration is 30 minutes. The compact test battery provides a well-established scoring system to reveal functional deficits and asymmetries. The results form the basis for the creation of a corrective exercise program. Precise plantar pressure measurements allows a complete clinical gait analysis, which reveals the risk of injury and running efficiency. The analysis takes about 15 minutes. If required, custom–made insoles can be manufactured by using the test data to support feet. 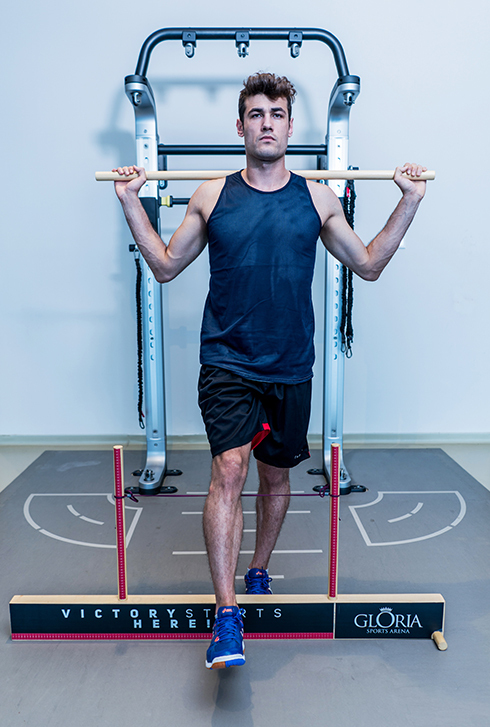 Dynamic platform allows qualitative and quantitative evaluation of the ability of the musculoskeletal system to maintain the balance on unstable ground/conditions. The results identify individual deficiencies.